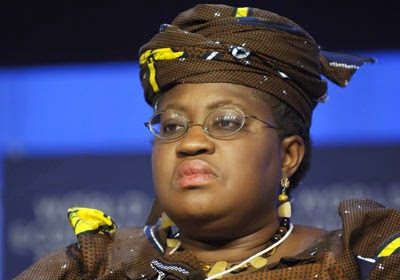 THE thirty- Six State Governors under the aegis of Nigeria Governors’s Forum, NGF yesterday asked the Minister of Finance and Coordinating Minister of the Economy, Dr. Ngozi Okonjo- Iweala to as a matter of urgency account for the money that were accruable to the Excess Crude Account which they put at over $ 20 billion. Rising from a meeting in Abuja yesterday, the Governors urged the minister to explain how much of this money entered the said account in three years from June 2013 to April 2015, adding that funds in the excess crude were last disbursed in May 2013. Reading a Communiqué at the end of the meeting which started 9pm and ended 1am, Chairman of NGF and governor of Rivers State, Governor Rotimi Amaechi announced the election of governor Abdullazeez Yari of Zamfara State as the new Chairman of the forum for a period of one year from May 2015 to May 2016 through consensus. The Governors at the meeting which took place at the Lagos/ Osun Hall of Transcorp Hilton, Abuja, also approved the establishment of a Governors’ Forum Academy to be tagged the NGF Leadership Academy that would be responsible for capacity building of Governors and other officials holding public office and to be overseen by the secretariat of NGF. According to the Governors, there would be an induction course for new and returning Governors June, 2015 aimed at equipping them with knowledge of global and best practices establishing and running their offices. The Governors who congratulated the President- elect, Muhammadu Buhari on the March 28 Presidential election victory, also hailed President Goodluck Jonathan for his statesmanship in accepting the outcome of the elections. The Communique reads, ” We are hereby reconciled and reunited as a single umbrella association of the 36 State Governors of Nigeria regardless of party or region.